This 9mm cartridge from Speer Law Enforcement is great for police officers who’d like the confidence provided by barrier blind performance. 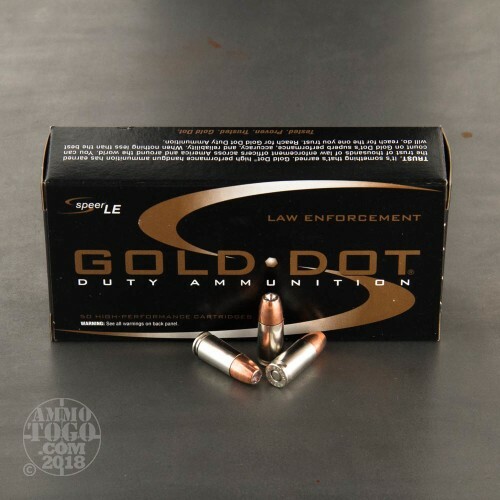 The 115 grain Gold Dot projectile’s jacket is electrochemically bonded to its core -- they are about as attached to each other as possible. 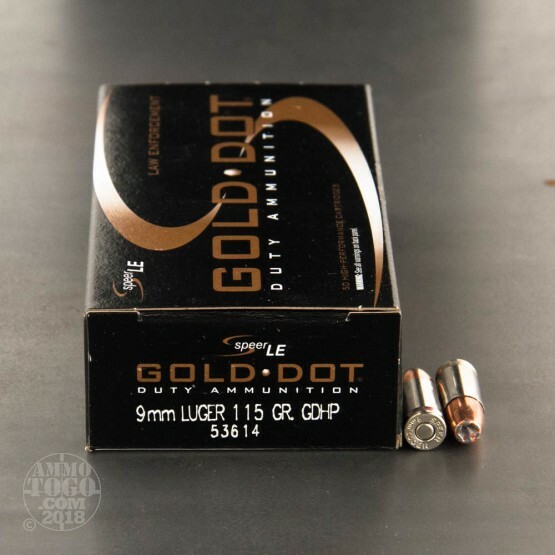 What you get out of it is a bullet that retains virtually 100 percent of its weight even if it has to pass through heavy clothing, plywood, or wallboard. The Gold Dot is programmed to expand reliably. 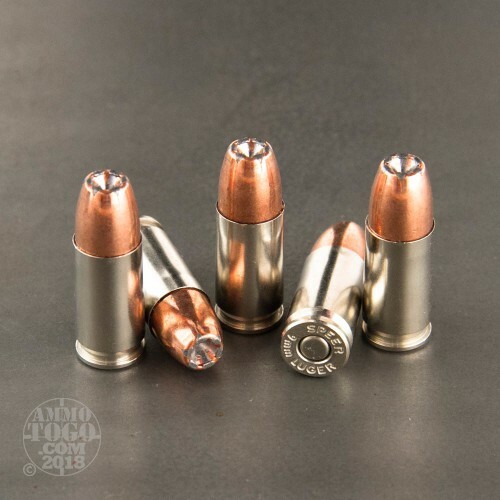 The patented process that Speer makes their hollow point with occurs over two stages that determine width and rate of expansion, respectively. It’s especially accurate as well, thanks to its superb weight distribution. That all adds up to performance you can trust to keep you safe whether you’re on or off the clock. This round is equipped with CCI’s own non-corrosive and non-mercuric primer, which will protect your investment. 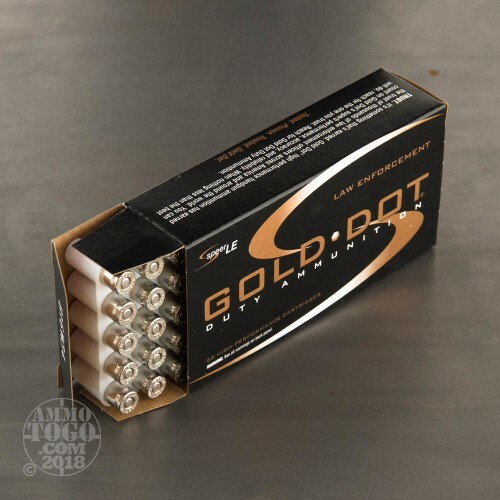 Its first rate brass casing is also plated with nickel, so it cycles smoothly, will weather adverse elements better, and helps you see when you check your chamber in the dark. Good stuff. You can trust it to protect you.